Unilever Foundry made a global commitment at Mobile World Congress that in five years, half of all start-ups it partners with will be female-founded. To help drive this change, Unilever Foundry has partnered with UN Women to launch theGlobal Innovation Coalition for Change. This unique alliance with 22 partners seeks to advance gender equality; create a set of innovation principles; and promote positive role models for women. This promise was made after a Unilever-commissioned study found that 46% of start-ups believe there is a gender bias problem in the industry. 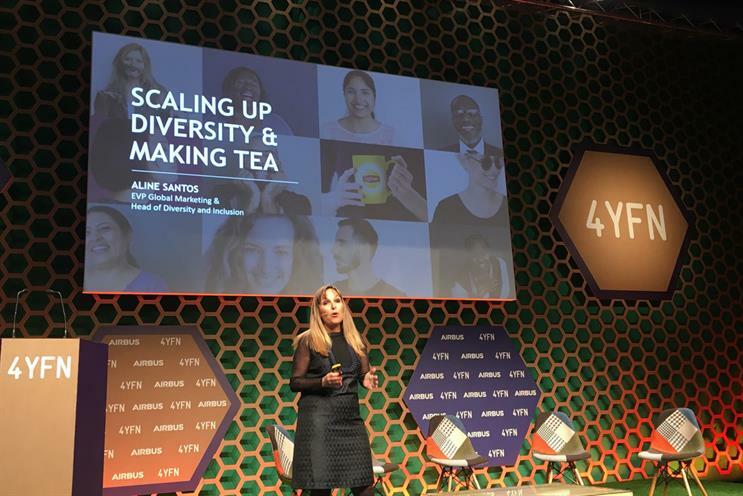 "We know that when we embrace diversity and inclusion in larger organisations like Unilever, we unleash the best in creativity, ideas and innovation – it’s business critical for us," Aline Santos, Unilever executive vice-president, global marketing and head of diversity and inclusion, said. The paper, Scaling up diversity, reported that only 17% of start-ups are founded by women and that female founders faced sexism and every stage of the start-up lifecycle. "I was shocked when I heard that low number and I went to check what the numbers were for Unilever Foundry's startups. I learnt that we were better than the market average, but our number is still not the greatest - it's 23%," Santos said. The research, conducted by MTM, surveyed 685 founders from global start-ups in the US, UK, India and Singapore about gender bias in the start-up space. It also included 22 in-depth interviews with 22 female founders or directors of start-ups in these countries. "Through this report we can see a major gender diversity issue in early-stage companies – from the low numbers of female founders, to the lack of support women experience across the lifecycle of their companies," Santos commented. "So we are committed to leveraging the power of Unilever to make sure we shine a light on this issue and increase the opportunities for talented people to lead the start-ups of tomorrow." The research found that 61% of women in start-ups do not think there are enough female role models, this is crucial at the ideas stage because it helps determine whether an individual will take the risk and found a company. The study found that men and women begin their start-up journey from different starting positions. Gender perceptions affect men and women at a young age and there’s still a problem with men and women not being encouraged to enter roles or industries that stereotypically are not associated with their gender. More than four in ten female founders (42%) found funding to be the most challenging barriers when establishing a start-up. "It's so bad that some female founders send in their male colleagues to speak to investors because when they just aren't taken seriously," Santos said. One respondent spoke of how investors wouldn't even shake her hand or listen to her present because they simply could not believe that the startup was led by a woman. "Investors questioned me a lot more about whether I’d be able to manage a company on top of raising my two children, which isn’t something that men get asked about," one female founder told researchers. Even after funding, the gender bias continues with 39% of female founders encountering sexism while running their start-up. The main issues were marginalisation in meetings (83%); and poor treatment when standing up for gender inequality (80%). Most (82%) of women agree that to avoid looking uptight, they let inappropriate statements slide. "There’s this pressure to live up to the expectation of women who run start-ups, you have to be like Wonder Woman – wake up at 5am to do boxing for two hours, work all day, have five kids, be juggling a number of networking events at the same time," said one respondent. More than four in 10 (42%) of female founders believe that no matter how successful the firm, gender discrimination will stay the same. Those that scale up feel they remain a minority, and that a lack of role models remains an issue. "When you don’t see a lot of women executing at higher levels, you may not even think you can reach that level," said one study participant. The hostile conditions faced by women entrepreneurs across every stage of the startup lifecyle is as counterproductive to their success as cold water is to brewing a cup of tea, Santos said. "Compare the difference. It's as if you were to try making tea with hot water and cold water. Women founders are like the tea leaves submerged in freezing cold water. That's what it's like," she said. "The environment is so hostile to female founders."